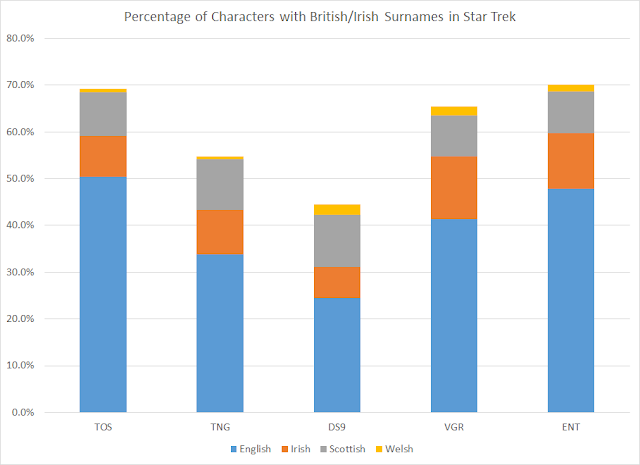 In my post from last Friday, I argued that the original Star Trek made a marked effort to give characters names with non-British/Irish origins. Not an enormous effort, perhaps, but something of one. Ex Astris Scientia did an analysis of all human characters listed in the 3rd edition of the Star Trek Encyclopedia, and concluded that 60% of the surnames names were of British/Irish derivations. The writer of that article argues that "[n]o present-day American phone book has such a low share of non-British/Irish names," and that "[t]he situation is worsening with Enterprise where there seem to exist no humans outside the USA at all." In my post, I said, "What I kind of suspect, though, is that the ratio is actually better in the original Star Trek than in the later series." But was this actually true? Were the creators of Star Trek better at depicting a diverse future in the 1960s than they were in the 2000s? (Keeping in mind, of course, that surname origin is presumably a crude measure of diversity.) I decided to crunch the data and figure out for myself. To keep this achievable, I decided to 1) keep my list of names focused, and 2) let someone else do the bulk of the work for me. So I pulled the names I used from five articles on the Star Trek wiki Memory Alpha. Specifically, I used the articles listing the crews of the original Enterprise (TOS), the Enterprise-D (TNG), Deep Space 9/the Defiant (DS9), Voyager (VGR), and the NX-01 Enterprise (ENT). Obviously there were many named human characters on each show that were not part of the show's crew, but this gave me a large sample of easily accessed human names for each series. I kept my lists to each series proper: my list for the original Enterprise, for example, does not include characters that originate in the cartoon or the films. 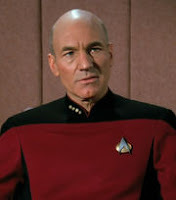 I also kept it strictly to the officers and crew of the vessels; I didn't include any of the civilians on board the Enterprise-D in TNG, for example. I listed characters only one time, so O'Brien counts for TNG but not DS9 since the DS9 writers did not pick his name. On the other hand, characters with the same last name were both counted; VGR's Delaney twins meant two occurrences of "Delaney" on the VGR list, for example. 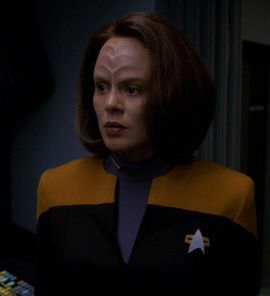 I also attempted to remove characters that only existed in set dressing; the Memory Alpha article for Voyager, for example, features a large number of personnel whose names were only glimpsed on computer screens and have no correlation to characters actually seen or mentioned on screen. As these name were often in-jokes and did not represent writer intentions, I omitted them. 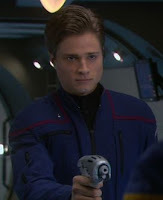 Similarly, I removed from the ENT lists the names of MACOs not spoken in dialogue; there were a lot whose names we only know from uniform tags that are often contradictory (some actors wore different name tags in different episodes; some name tags were worn by multiple actors). This gave me a list of exactly 500 surnames across all fives series. I then entered each surname into the family name search on Ancestry.com, which begins with a "Name Meaning" that gives the name's language of origin. Here's the one for Arriaga (a DS9 character), which reads, "Basque: habitational name from a town named Arriaga in Araba province, Basque Country, or topographic name from Basque arri ‘stone’ + -aga ‘place or group of’." For that name, I thus recorded "Basque." So as you can see, there's a gradual increase in the number of characters with non-British/Irish names from TOS (1966-69) to TNG (1987-94) to DS9 (1993-99). 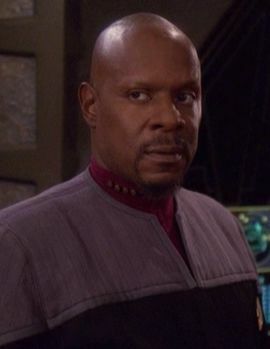 DS9 is the first series where characters with British/Irish names are in the minority. But then with the last two series, things suddenly turn around, with VGR (1995-2001) and ENT (2001-05) vaulting back into the 1960s status quo! There are more characters with English names on ENT than there are characters with English, Scottish, Irish, and Welsh names put together on DS9! Note that once you get out of the top few, there's what I think statistics people call a "long tail": a large number of options that were only selected very few times, like one Arabic name ("Zahra"), one Russian name ("Chekov"), and one vaguely Asian name ("Sulu"). 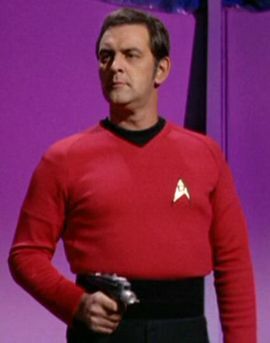 The inclusion of just one Russian name is kind of interesting-- Star Trek dared to include a Russian main cast member during the Cold War... but that turned out to be the only Russian on the entire Enterprise. He really was a token Russian. As an American with a German surname, I'm disappointed there are only four Germans on the Enterprise (Brenner, Dehner, Hendorff, and Jaeger)... but I guess at least we fare better than the Welsh. Here you'll see that outside of British/Irish names, ones from Southern Europe (e.g., Portugal, Spain, Italy, Greece) dominate the five series, followed by Western Europe (e.g., France, Germany). 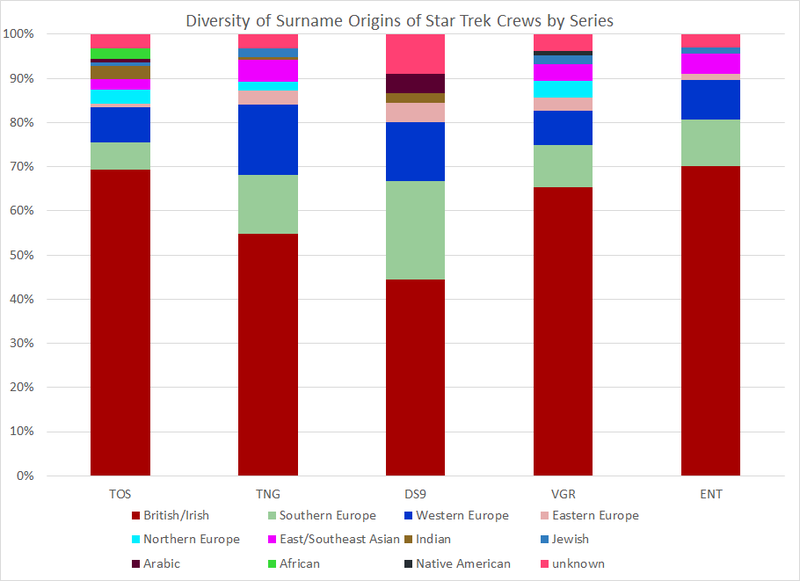 On the other hand, in all of Star Trek, there have been exactly six crewmembers with Indian surnames across all five series despite the fact that the Republic of India is presently the second most populous country in the world (not counting people with Indian surnames outside India), and thus we might expect to see many more. Where the lack of diversity seems most egregious is ENT. ENT is the most modern of all the series, obviously, and yet it has the lowest rate of non-British/Irish names in the entire franchise. 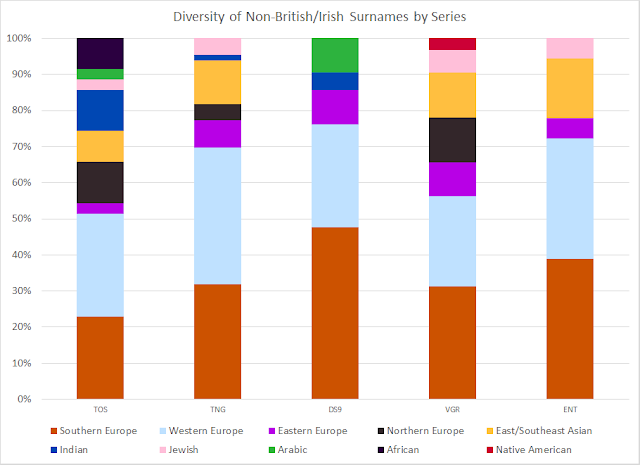 To compound that, this chart makes clear that there is less diversity among the non-British/Irish names. There are no characters with surnames of Indian, Arabic, African, Native American, or even Northern European origin. Do you know that ENT did two ongoing plotlines that were allegories for post-9/11 Islamaphobia? Both the Suliban and Xindi arcs had aspects that were clearly in response to and critiques of the stereotyping of Muslims and/or Arabs in the early 2000s. But those critiques ring hollow if in a crew of 67, no room could be found for a single character with an Arabic name. It's easy to preach Star Trek's message of diversity, much harder to put it into practice. One thing I'd still like to do is to compare this to some kind of control. Is EAS right that "[n]o present-day American phone book has such a low share of non-British/Irish names"? 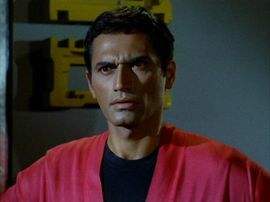 If the writers of Star Trek had flipped open an LA phone book at random, would they have ended up with more Jimenezes and Kwans, and fewer Petersons and Taggerts? It seems pretty likely, but it would be nice to have numerical evidence. I mean, there's always going to be some bias because the shows were all made in the U.S., but the U.S. must be more diverse than these names would imply. Comments, corrections, suggestions, and feedback welcome. * Though this web site helped a ton.